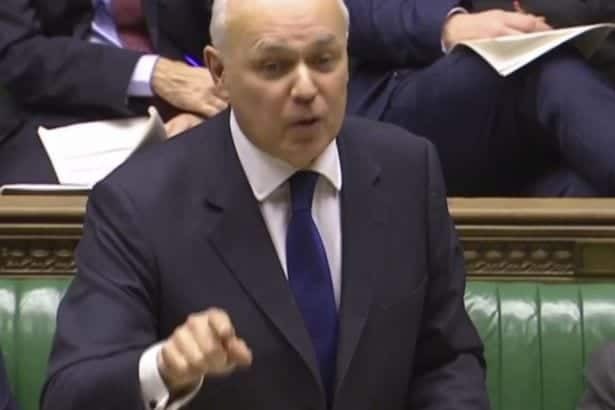 Iain Duncan Smith has aired his anger at his £30-a-week cuts being blocked in a letter. He has promised to push through the cuts anyway regardless of the warning from his own human rights watchdog. The House of Lords has twice blocked his attempts to cut ESA (Employment and Support Allowance) by a total of £30 a week. His complaints contradict his own human rights watchdog who demanded he offered more evidence as to how the cuts will damage the disabled and mentally ill. Equality and Human Rights Commission chief executive Rebecca Hilsenrath said the DWP’s impact assessment had “very little in the way of evidence” and “no attempt to break the limited data down”. 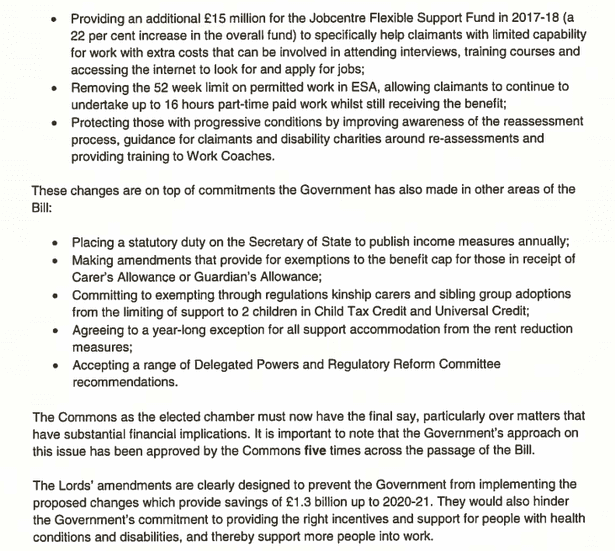 Smith is determined to cut sick and disabled peoples’ ESA from £102.15 to £73.10 a week – equal to jobseeker’s allowance – if these people are deemed fit for “work-related activity”. 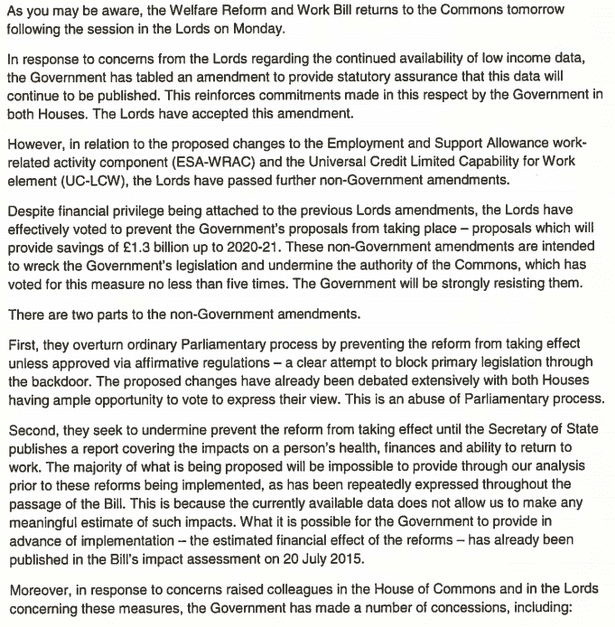 The Lords had totally rejected the cut in January, but were blocked by Conservative MPs in the House of Commons. Then on Monday Paralympic hero Tanni Grey-Thompson made an impassioned speech, which prompted peers to try and delay cut until 2020, asking for a review. Roger Godsiff a Labour MP said: “The Government need to stop and think rather than blindly rushing ahead with a cut which will not only cause a huge amount of suffering to a very vulnerable group, but is also likely to fail to save public funds. “Look at the fiasco around the bedroom tax, which is currently going through the Supreme Court following a judicial review.